Day Five! 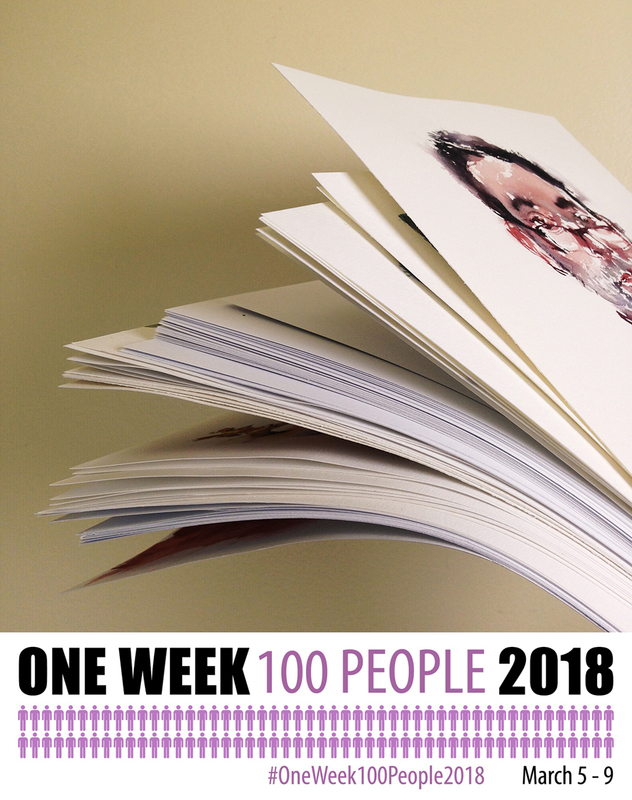 #OneWeek100People 2018: So it ends – or does it? I feel like there’s two ways to judge the success of your #OneWeek100People2018. Either way, big thanks to everyone who participated! I hope this jolt of inspiration can keep you going for a good long while. At least until your next big sketching event. I know there’s always something in this terrific online community of ours. My next-big-thing is the USK Chicago Sketch Seminar in June. < Still spaces available I believe). 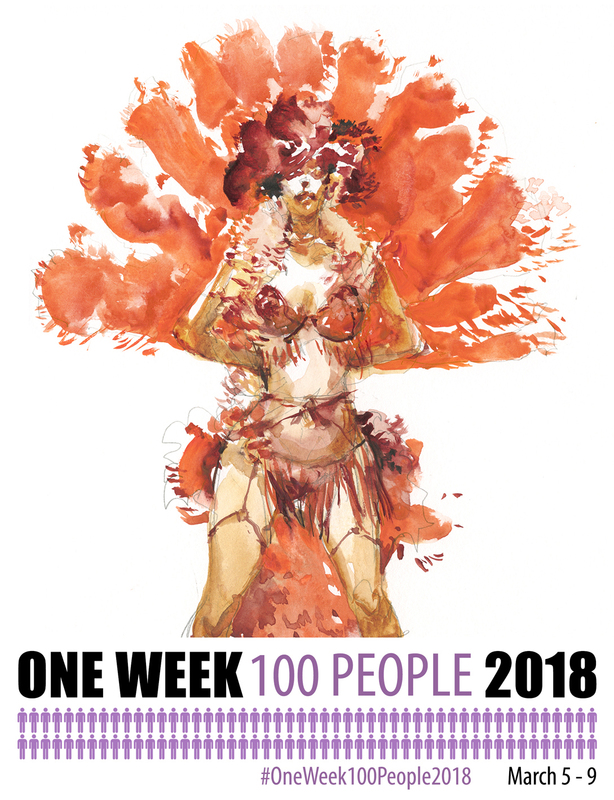 So – take care everyone and thanks for your #OneWeek100People2018! ← #OneWeek100People2018: Day Four: Selfie Series! I didn’t try for 100 this time but did this in the past and learned a lot. In fact I am still sketching people but not at that pace. But I especially enjoyed seeing your work. Terrific. Marc, thank you so much for your inspiration and encouragement! I managed about 136 people, I hope that you don’t mind that I modified your graphic that I never got a handle of! Blown past the finish line! Congrats! Thank you Marc for inspiring us to go out and sketch people! Managed 102, and have gained a lot of confidence while doing the challenge! Excellent Kay, congrats for keeping with it to the end! Thank you Marc, I did 105 persons in total. It was a great experience! It was great & definitely inspiring. I’m kinda faltering at the end so will tack on a day or two extra to finish BUT after this, keeping up a regular sketching schedule will be a snap! This was really awesome. After getting to 100 this morning I couldn’t stop sketching… eventually I sketched 124 people. Focusing on sketching the ‘required’ 20 people a day really helped me to step out of my comfortzone and try new things. And missing the train never was so much fun (that is how I ended up with 24 extra people today :)). Came up 6 short, but did better than I thought for the first time ever doing this challenge and I look forward to taking this challenge on again next year, as I will be better prepared and a better artist next year with much more sketching and painting under my belt by then.. Thanks Marc. I am off from my airline job at O’Hare for the entire Urban Sketchers seminar in Chicago in June and plan to go to all days of it and attend your work shop. So looking forward to that too! My sketching week was rudely interrupted by the birth of my first child. How do i apply for an extension?